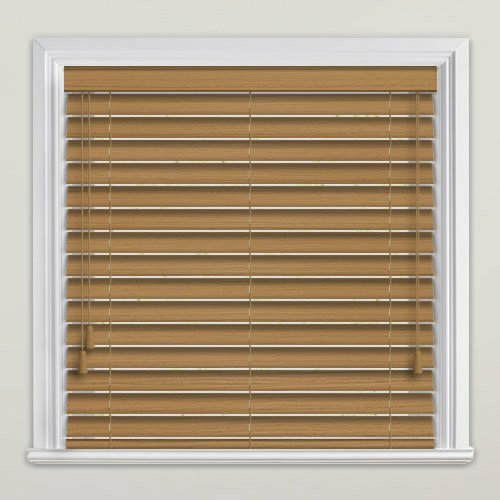 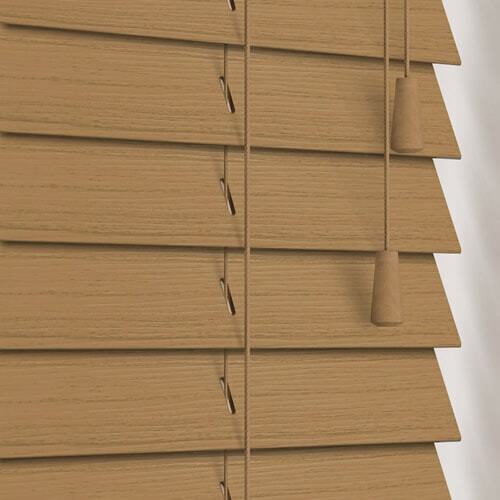 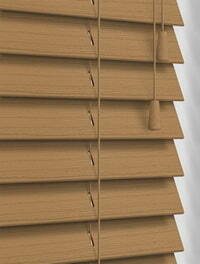 Bring a warm and cosy look to your home with these high quality 50mm light to medium oak faux wood blinds. 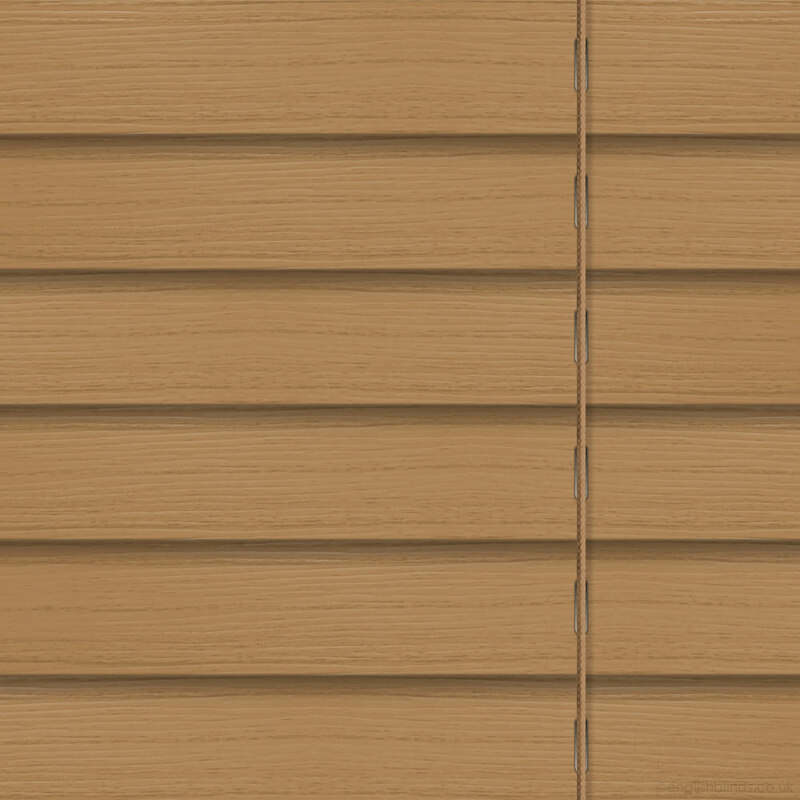 Their beautiful rich tones are infused with slightly darker streaks and their fine grain texture only adds to their authentic look and feel. 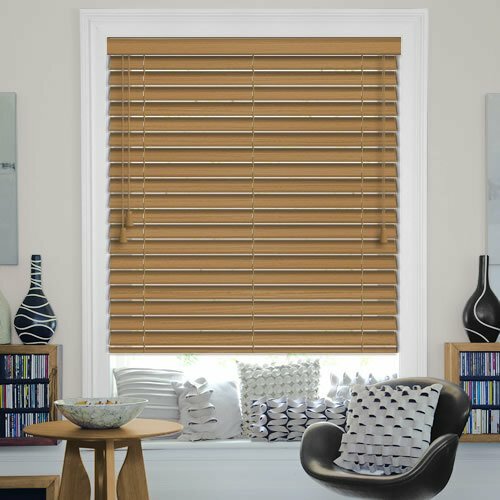 Waterproof, fire retardant and wipe clean, they are super practical and extremely well suited to humid environments such as the bathroom, shower room or kitchen.